This flyer was designed and printed as part of a larger branding project by Tonik. 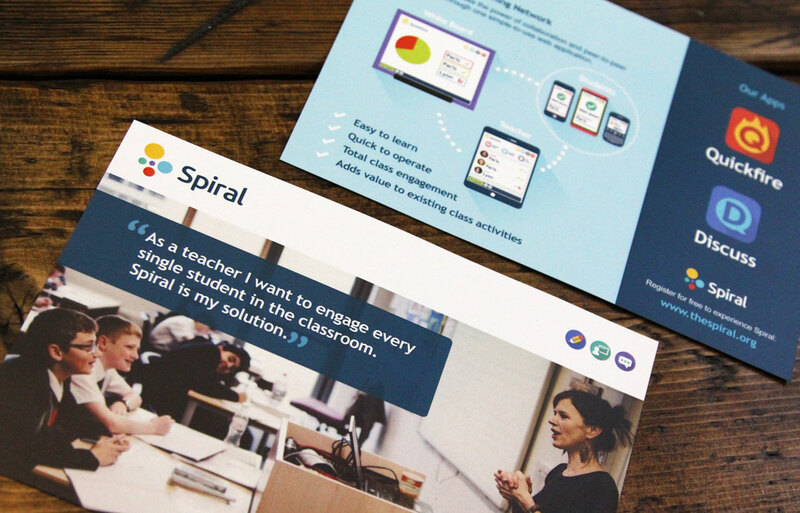 Having rebranded Spiral, a flyer was needed during the project for a conference and so we applied commissioned photography, the new branding and the copy we’d produced to create an informative handout. This flyer was printed in full colour on a 250gsm silk with matt laminate and produced digitally since only 100 were needed. We are also currently designing a website and web user interface, due for release in June 2014.